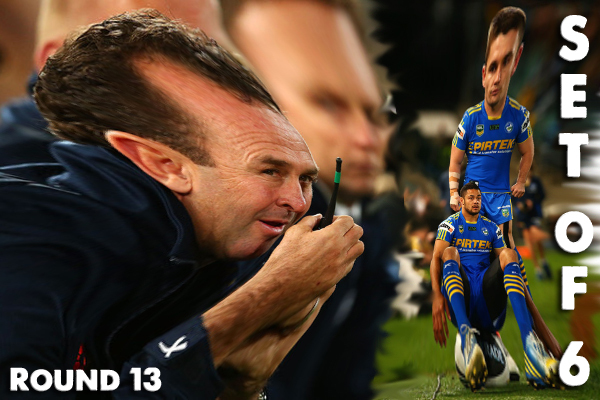 Parramatta are getting serious about rebuilding... very serious. Coach Ricky Stuart and CEO Ken Edwards joined the club before 2013 with the mandate of improving on the Wooden Spoon receiving team they were inheriting from Stephen Kearney and Paul Osborne. A win in Round 1 over the Warriors had many blue and gold faithful talking playoffs... PLAYOFFS!!! and then reality kicked in within a few weeks... this team is last year's team. So Ricky has had enough. He knew he had some dead-weight to cut even when he joined the club, (Justin Horo was the only casualty in the off-season given Manly offered him a contract), but after the Titans absolutely smashed the Eels in Mudgee (a marquee game for the Eels' new brand)... he'd had enough. The roster was given half a season to show him what they had. For roughly half the first grade squad - they didn't show him anywhere near enough. Normally we won't link to a Tele story but given Stuart wrote his reasons for them... read his reasons here in the Herald Sun. His opening two lines are right on the money, so you know he wrote it and not a ghost writer. Football is not an individual talent. Teams win games. No one knows what the formula is, but as coaches we're all searching for it. And evidently Stuart hasn't found a TEAM in the group he inherited for 2013. 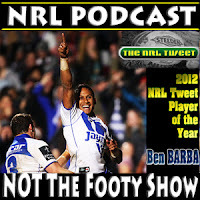 All credit to him for cleaning house, just keep your chin up Parra fans and stick with Sticky. Votes from Round 13 so far are below. This column seems to be full of Phil Gould's writing from the SMH... and for good reason. You can have any kind of personal opinion of the man, but his writing is as good as it gets in Rugby League. And it is probably a key reason why the soon-to-be-implemented subscription plans for the SMH will be worth the investment. The most direct paragraph is below... and probably sums up how Gould feels about entire salary cap situation. Unfortunately, under the previous NRL CEO David Gallop, Ian Schubert was given total control over all salary cap implementation. The fact no mechanism was ever put in place to challenge Schubert's rulings was a major flaw in the NRL administration. Read the whole piece here... and make sure you really read it. Are the Titans really the 5th best team in the comp? Probably not but the NRL Ladder says so after 13 Rounds. It also says that the mediocre football is well and truly here after the promise of the first couple of months of the season. The Titans sit on 16 points in outright 5th, just one behind Manly who have 17pts and sit in 4th place. Something you need to keep in mind looking at any ladder between Rounds 12 and 19 is that each team gets 2 free points for the Bye... so basically if your team is within spitting distance of 8th spot during this period - you might actually be in the Top 8 by the time you have both byes. PS. 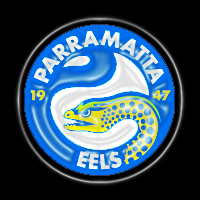 Through 13 Rounds it looks like we've got 3 really good teams, a good team and a bunch of pretenders... then Parra. "I am enormously proud that we have eradicated the debt and the club is ... operating at a profit," outgoing Gold Coast CEO David May... after less than 12 months in the role. The Titans now sit 5th and according to May - are making money. Not a bad effort considering where the Titans were under previous management. "For a guy like myself, yesterday, while it was unfortunate for Matt it was a chance for me to push for a first grade spot," Penrith's Wes Naiqama after replacing Matt Moylan at fullback in Round 13 due to the aforementioned Salary Cap situation. Food for thought: Under the current setup - could it have been Naiqama who was denied re-entry into the NRL if the Salary Cap auditors had given Moylan dispensation to play on? "The sort of injury he has, he wouldn't be right to play next Monday, but he might be ready by the following Monday," NSW doctor Nathan Gibbs isn't ruling Jarryd Hayne out of Origin 2 just yet... Game 2 in Brisbane is the Wednesday after that 'following Monday'. "With Josh Dugan and Michael Ennis replacing Jarryd Hayne and Robbie Farah - NSW will be unbackable favourites in Game 2," Said no-one... ever. 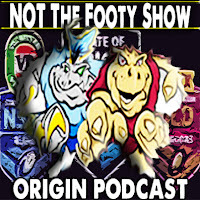 The pair is not the answer... neither fit NSW's style of play... the answer at 9 is Ryan Hinchcliffe/Josh Reynolds, the answer at fullback is not Dugan - Origin is a far bigger beast than club football at the Dragons during the mediocre period that is Origin time. Nor Anthony Minichiello - who like Dugan isn't able to play a style that involves his team-mates like NSW need. Closest stylistically to Hayne is Reece Robinson, but the smartest pick is Michael Gordon. Sigh... we have a few punches in a State of Origin game and all of a sudden not only is everyone an expert on what is acceptable and what's not - but the hypocrites come out of the Origin woodwork thick and fast. 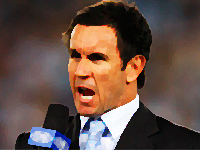 Did Paul Gallen do the wrong thing? YES. Have we seen worse/similar from both sides of the border before? YES. Do people on both sides of the border realise that? NO. News emerged on Tuesday lunchtime that James Tamou had been caught drink driving by police in Townsville. It is very disappointing, not because a footballer has been caught but because this continues to happen in every corner of license (and non-license) wielding society. Tamou will get punished per the law... but be more relieved he didn't cause a serious accident than getting on his case for missing football etc... perspective is hard to get in football, because bias is so incredibly rooted in the game. Let's really hope Tamou learns from this, and never does it again. And that stance has absolutely NOTHING to do with football. Do you have any views on this week's Set of 6? This is how the votes were handed out for Round 13. 8 - D Tupou, 4 - A Minichiello, 2 - J Maloney. 8 - J Dugan, 3 - N Fien, J Mullen. 8 - G Eastwood, 3 - M Ennis, 2 - B Barba, 1 - R Lui. 6 - G Fisiiahi, 5 - F Mateo, 3 - P Hiku. 8 - A Woods, 4 - D Nofoaluma, 1 - T Simona, N Plum. 5 - C Cronk, 4 - G Widdop, R Hoffman, 1 - B Slater. 8 - T Campese, 4 - R Robinson, 2 - E Lee.